Daily Obedience: Do You Not Know? This scripture has been going around in my head all week long. Why do you say, O Jacob, and complain, O Israel, “My way is hidden from the Lord; my cause is disregarded by my God?" Do you not know? Have you not heard? The Lord is the everlasting God, the Creator of the ends of the earth. He will not grow tired or weary, and his understanding no one can fathom. He gives strength to the weary and increases the power of the weak. Even youths grow tired and weary, and young men stumble and fall; but those who hope in the Lord will renew their strength. They will soar on wings like eagles; they will run and not grow weary, they will walk and not be faint. Let me say this first. It's really difficult to open yourself up on a blog and admit you've made mistakes when one or maybe hundreds end up reading. But I think it can be healing as well. For me and for those reading. So I'm doing it. Don't judge! LOL! I can be overzealous when it comes to making plans for myself. Then I always end up in a situation where I feel like I've failed. That brings me down. So I must be real. I keep saying 40 pounds by Christmas. But seriously, that can only happen if you make a dedicated effort to eat next to nothing and exercise like crazy. So I'm not sure that was realistic for me. My plans to do The Firm in the morning and run at night, every day, fell apart very early on. Monday morning I woke up with great intentions to do it all. 30 minutes of The Firm before I went to work. The puppies were insistent on doing it with me and well that just didn't work out at all. So after 10 minutes of attempting to move up and down on a step with a puppy under my feet, I quit. ﻿﻿ The second failure was believing that I would have time to update my blog every day. I never even made it to Monday on that one. I work in downtown Atlanta, a 31 mile commute in traffic each way, each and every day of the week. I wake up at 5:15 every day so I can spend time with the puppies before going to work at 7:30 and leaving them all day. I figure I owe them that much! I usually don't get home until around 5:00 to 6:00 depending on how early I got to work. When I get home, I spend a few hours with the pups, first playing, then they follow me around the house as I pick up and clean, and eat some dinner. After that, I put them up for about an hour while I try to go outside and walk before it gets to be dark. Then I come in and shower, get the pups out and we hang out for a while until I just can't keep my eyes open and my body clock just winds down. I fall in the bed exhausted and do not even blink an eye once my head hits the pillow. Then I get up the next day and do it all again. So that doesn't leave time at all to sit down and think about writing in a blog. So as of now I'm updating on weekends only, unless I find time or have a great revelation I'd like to share. And the next failure was related to eating. I did not make very good choices all week long. We won't even begin to discuss what I've eaten. Let's just say it wasn't going to help me lose weight! Now as far as the training schedule I'm following for running, I didn't really end up following it. Monday, I got on the treadmill (got too dark before I could get outside) and did the recommended walk. Run 2 minutes, walk 4 minutes, 5 times. I did that, plus a warm up of 4 minutes and cool down of 4 minutes. That was a total walk of 38 minutes. It felt great and I was able to run the required amount of time. Tuesday, I did nothing. Wednesday, I did nothing, though I was supposed to be on schedule for training. I deliberately took Tuesday off because I was running a 5K on Thursday. Thursday I did the 5K, the Kaiser Corporate Run/Walk in Atlanta. Me and about 16,000 of my closest friends! I was totally exhausted when I finished and therefore I didn't walk on Friday so I could rest instead. Today I'm going out for a 6 mile walk. So I guess the training schedule isn't really my schedule after all. Having said all this, I want to wrap it up this way. I make plans. And obviously my plans fail. That leaves me frustrated and feeling like a failure. I'll go full steam ahead and then as an after thought I ask God to bless me in my endeavors. It seems like he doesn't and then I get upset with God. I think He doesn't even care about me. That He doesn't see me or hear me. And I think that's why the scripture has been in the front of my mind all week. God is speaking out to me and saying DO YOU NOT KNOW? HAVE YOU NOT HEARD? Trust me! I am GOD. The One who should make the plans for your life. The One in whom I should trust. The One who is everlasting. The Creator of the ends of the earth. And His plans for my life will never fail. Though I grow tired and weary, though I stumble and fall, He will give me strength. 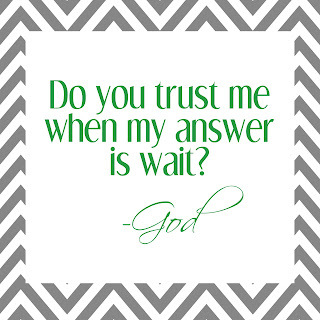 And sometimes He will ask me to wait. To go slowly. To be patient. To trust in Him. So I'm going to try this one day at a time. Not set unreachable or unrealistic goals for myself. I think the best plan to follow for getting healthy is just to make good choices each day, moment by moment, and not count on certain results by a certain time. If I set myself up for failure, I will certainly fail. But if I wake up each day and ask God for his help, for his instruction, remembering that He cares deeply for me, I will not fail. So going forward I will simply make good food choices, exercise, and pray that God help me to put Him first in all things. Because I want to run. But I want to run to Him first.